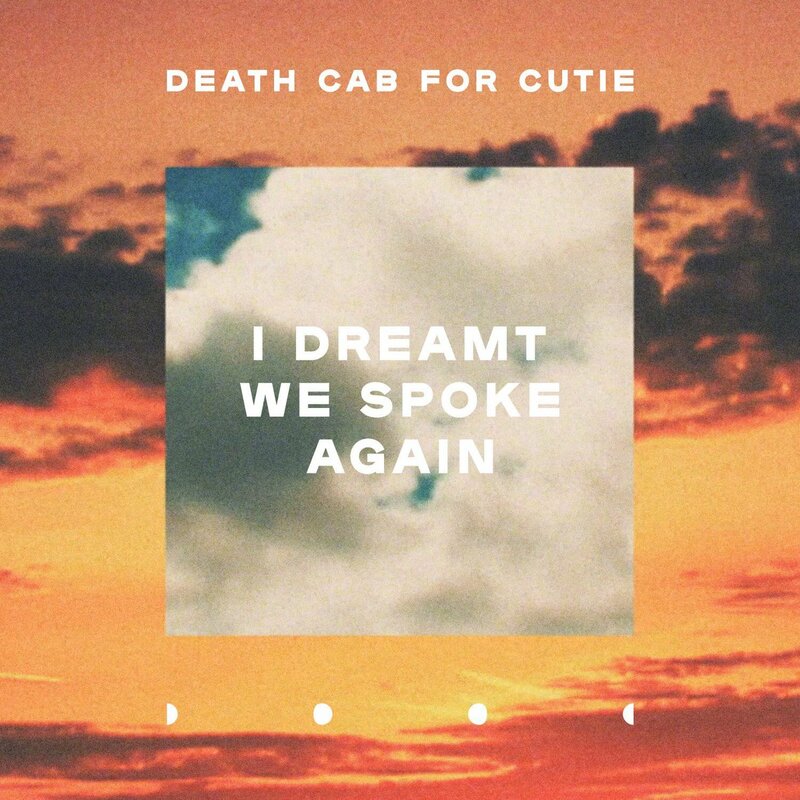 Death Cab For Cutie’s “I Dreamt We Spoke Again” is the marriage of the indie rock Death Cab and a brand new exciting direction for the band. Based on the first singles from the album, it seems Death Cab for Cutie’s upcoming Thank You For Today will be the indie superstars’ most experimental, least emo album yet. Where Kintsugi saw Ben Gibbard lamenting his failed marriage to Zoey Deschanel, there’s something that feels oddly comfortable and free flowing about Thank You For Today. The leading single “Gold Rush” is one of the Seattle band’s most rhythm-driven singles to date. The band’s second single from the upcoming album, “I Dreamt We Spoke Again,” is a piece of straightforward catchy indie-pop with a touch from the ’80s to put confidence in Death Cab fans who may fear the band is taking too far of a shift in a new direction. “I Dreamt We Spoke Again” is built on a certain level of indie-rock, but it borrows tropes from dance music and classic rock, as a song like “Gold Rush” does. Where “Gold Rush” has a repetitive beat with vocal samples and a country twang to the guitar, “I Dreamt We Spoke Again” has a more psychedelic influence, with guitar parts that sound like a combination of Pink Floyd and Transatlanticism. Jason McGerr’s playing is some of his most solid, and it’s brought to the forefront of the mix. He simulates a drum machine without losing any of his humanity. Gibbard embraces some vocal effects that are easily noticeable, but don’t take away from his plain and pretty voice[*]. It adds another dimension that most Death Cab songs don’t have. The rhythm and textures of the song make it sound like an 80’s song without all of the nostalgia that these songs often have. It doesn’t sound corny, but the influence is there. This is all relatively lazy writing for the same guy who gave us the vivid imagery in “I Will Follow You Into The Dark” or the great character piece “Styrofoam Plates.” All this being said, the ambiguity of it all, is intriguing. It’s left me wondering if this is all about a breakup or a dead friend. The questioning is the most interesting piece of the lyrics for the listener, but here the vocals merely serve to add to the overall sound of the record. In a recent interview with Noisey, Ben Gibbard described this album as one that would narrow the gap between their older material and their new material. The sonic elements of “I Dreamt We Spoke Again” really speak to that most of all of the three singles released so far. “Autumn Love” sounds like classic Death Cab, and “Gold Rush” feels like a step in a brand new direction. Using “I Dreamt We Spoke Again” to kick off the album is the perfect choice to summarize this. Thank You For Today seems to be Death Cab’s largest departure from their old material, but it also seems like it takes a step in a new direction without offending those who may still yearn for The Photo Album. [*] This isn’t a knock on Gibbard. Gibbard is an excellent singer. He just doesn’t have an incredibly distinctive voice. That being said, that’s part of the appeal of his work. It’s probably why he’s been able to have such a great career in Death Cab, The Postal Service, and as a solo artist. I have a theory that this has to do with the fact that Death Cab has hyper-personal lyrics, and his plain voice helps the listener self-insert, similar to Harry Potter being a relatively plain character in his own series. I could talk about this for about four more bullets, but you don’t want to read footnotes to footnotes. This isn’t Infinite Jest.